Have you ever applied for a job online by sending your resume and never heard back from the hiring manager? Most of us have experienced this–more times than we would probably like to admit. In a competitive job market, you need to do your best to stand out from the crowd. A trend that has emerged from our growing obsession with visual content is the infographic resume. People create an infographic resume to showcase their job experience in creative, outside-the-box ways. That being said, infographics resumes come with a risk: if done poorly, they can cost you a job opportunity you might have otherwise had if you had used a standard resume. But if done well, they can set you apart from other applicants. Take designer Chris Spurlock, for example. His highly original infographic resume got the attention of the Huffington Post, where he was given his dream job. 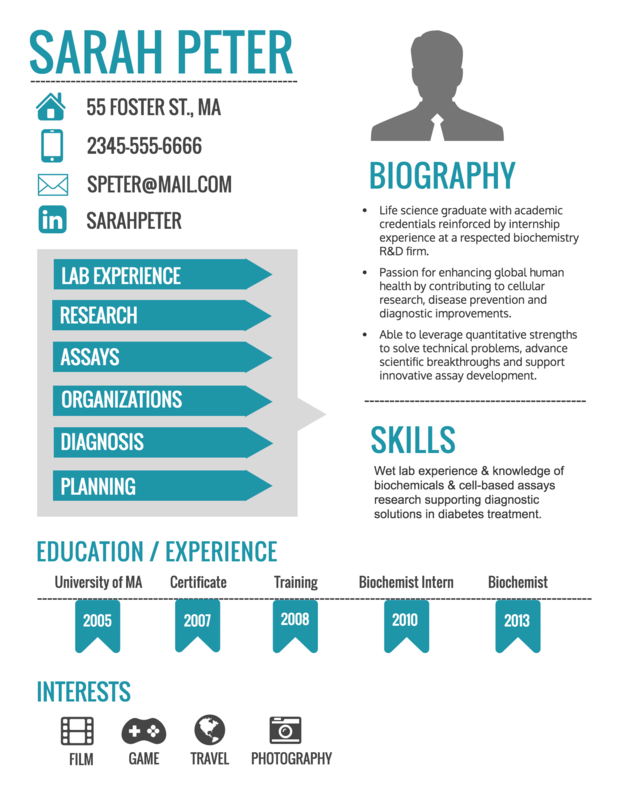 An infographic resume is, very simply, a resume in infographic form. 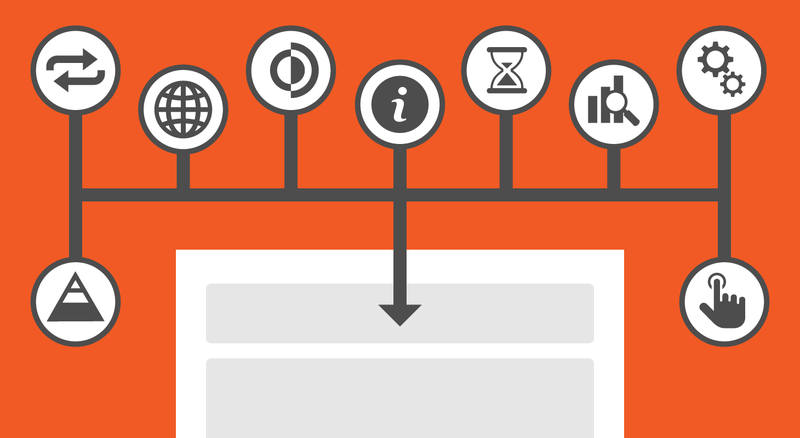 Rather than using a PDF or Word doc., you present your text and images in an infographic. 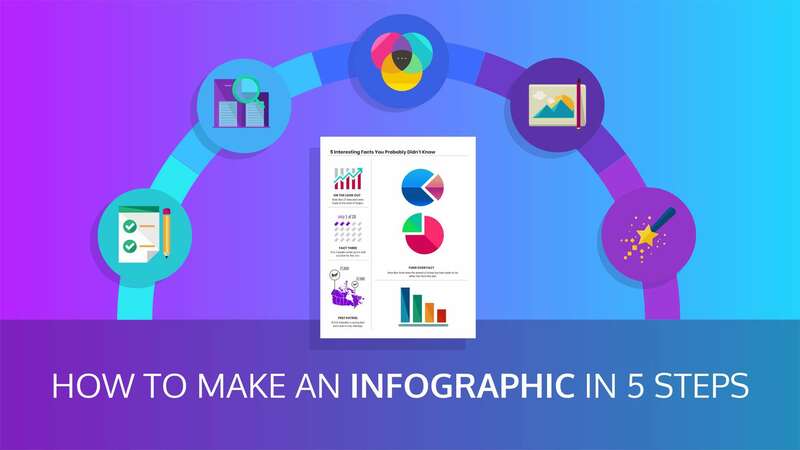 Because an infographic resume presents information visually, you have the opportunity to draw thematic connections between your job experience/career goals and your infographic design. For example, if you worked in a variety of locations across the globe, you could use a map to visualize where you have worked. The infographic below uses a combination of maps, charts and graphs to visualize the applicant’s experience. An infographic resume can follow any design you want, really, but keep in mind that above all else, your design and the content must be focused. The same rules for creating any other kind of infographic apply, with a few specifications. Your infographic resume needs to both communicate who you are and also your qualifications for the position. Choose a theme that best reflects your experience. Don’t leave out essential information. Pick a color scheme that reflects you. 1. Choose a theme that best reflects your experience. 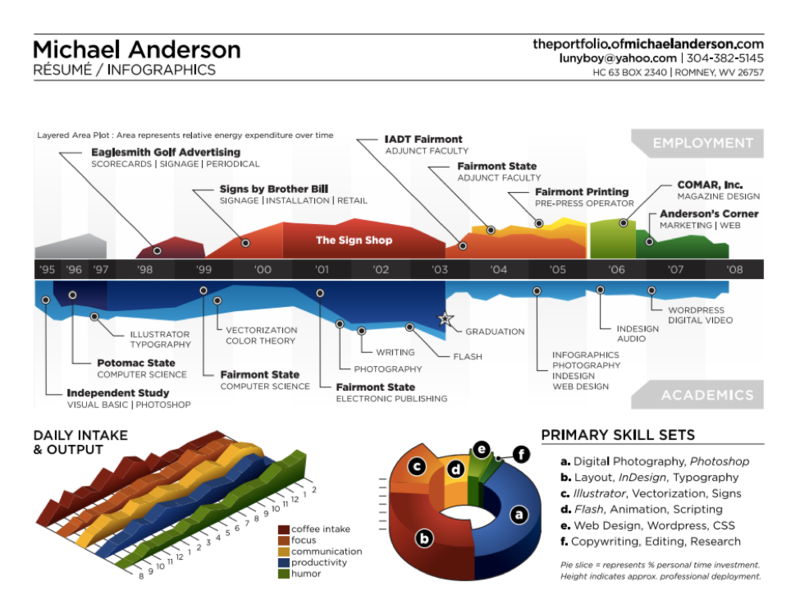 One of the most cited examples of an effective infographic resume belongs to designer Michael Anderson. He was one of the first people to adopt the use of an infographic resume. 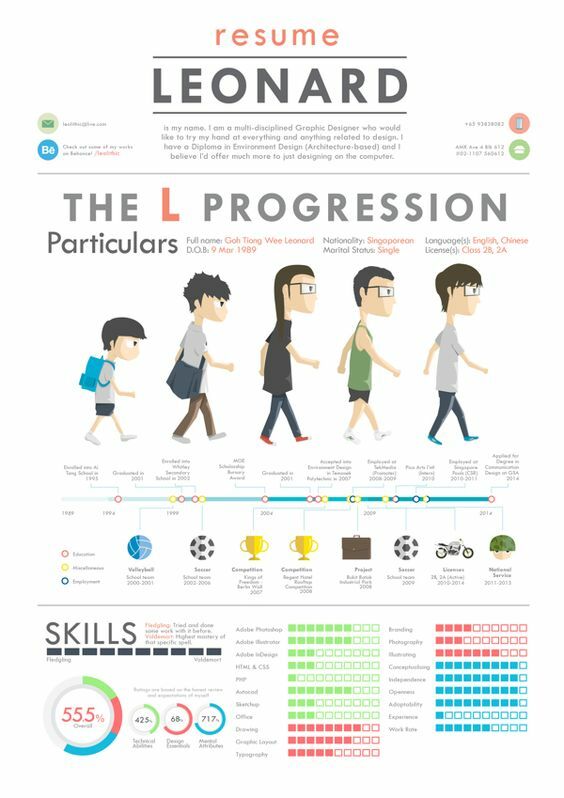 His is an example of an infographic resume where the visuals enhance the information but don’t represent any particular thematic connection. 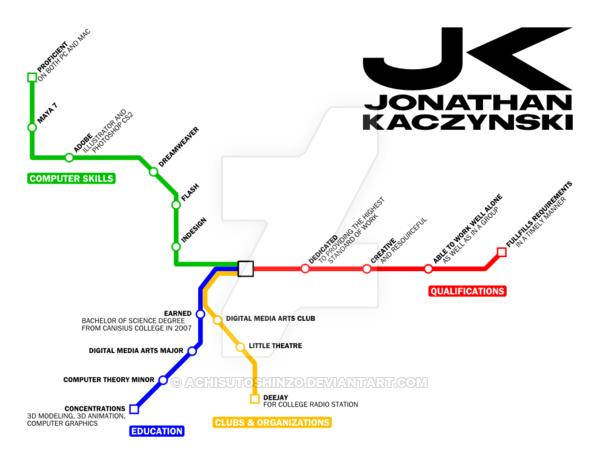 This infographic resume belonging to Jonathan Kaczynski on the other hand, uses a subway map motif to visualize how his different skills intersect. You’ve chosen to create an infographic resume because you want to stand out. 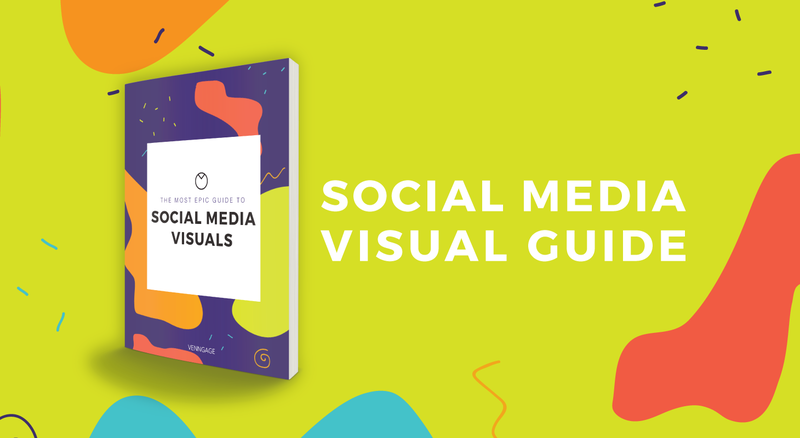 You’ll get their attention already by using an infographic, now you have to keep it by telling a good story. Generally, the story should be relevant to your professional development. Remember, you have limited space on your infographic, so you need to include key resume information. 3. Don’t leave out essential information. Will do you the job? Will I like working with you? 4. Pick a color scheme that reflects you. The colors you choose for your infographic resume should be relevant to and appropriate for the kind of job you’re applying for. For example, if you’re applying for a job in business communications, a neutral color like corporate blue or a subdued red are safe bets, as opposed to a more outrageous color like neon green. Don’t use a line or area chart to visualize skills. It’s easy for the design to make the information confusing. Recruiters often have to go through many applications so you want your information to be as easy to read as possible. Instead, use a bar chart. Remember: the most important thing, even more important than creativity, is that your resume is easy to read. Keep the design simple and focused. 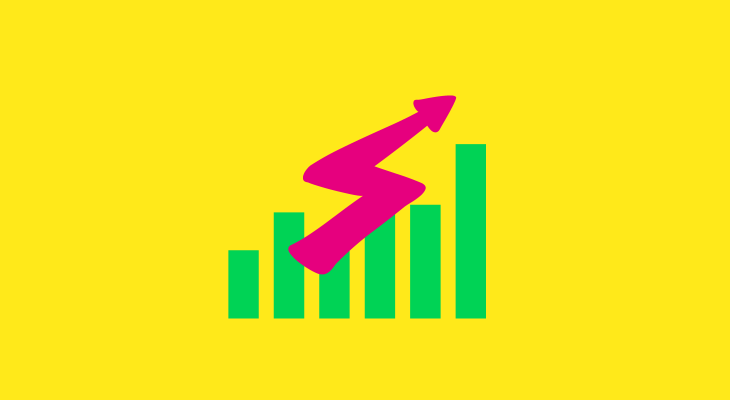 Avoid cluttering your infographic with too much extra text, chartjunk, and images. For more tips, read this article about cutting through the clutter when designing infographics. End your resume with a call to action. Ask recruiters to follow you in Twitter and LinkedIn so they can get to know you better. You could also put your call availability, or even an open request to meet for coffee. You don’t want to come off as too pushy, but you also want to encourage them to strike up a conversation with you. 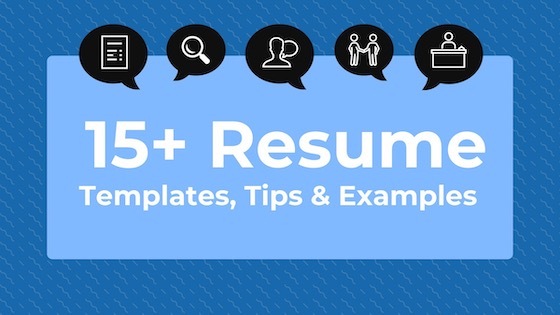 Infographic resumes are exciting, but they’re not right for every job. Do some research first to determine whether or not an infographic would be appropriate for the particular company you’re applying for. Creative fields will undoubtedly be more receptive to outside-the-box resumes, but more companies are embracing creativity and risk-taking in their corporate cultures. When in doubt, also include a standard resume in your application. The fact is, if you’re using an infographic resume, you’re taking a risk. Many work places will prefer a classic resume over an infographic one. You can eliminate that risk by also giving prospective employers a standard resume. Then, you can either also included the infographic resume as an attachment, or simply bring it into an interview as an added example of your design chops and creative thinking. Always take the time to research a company before submitting your application, to get a sense of their culture. 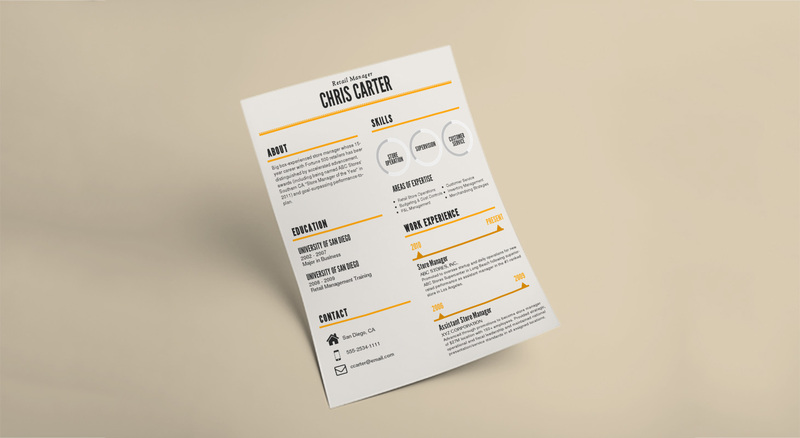 Creating a noteworthy infographic resume starts with a solid template. 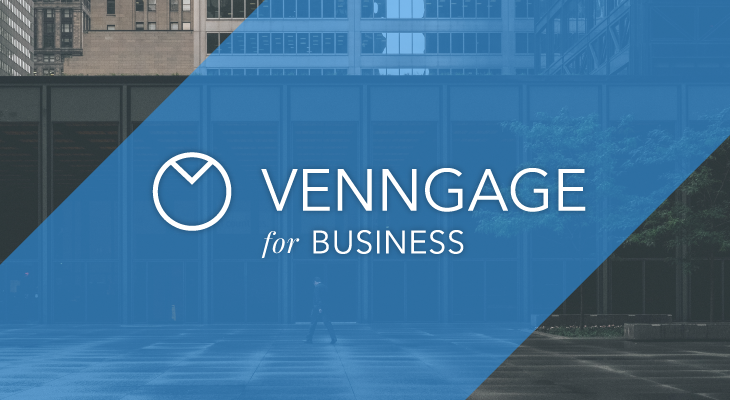 Venngage has a selection of beautiful infographic resume templates to choose from. Now get out there and get that dream job!